Showtime is officially moving forward with its long-rumored, deep-in-development Halo TV series, based on the immensely popular sci-fi videogame franchise of the same name. On Thursday, the premium cable network announced that it has picked up ten episodes of the live-action, scripted action/drama series. Rupert Wyatt (Rise of the Planet of the Apes) will direct multiple episodes of the series in addition serving as an executive producer on the project. Kyle Killen (Awake) will also serve as an executive producer, as well as showrunner and writer. Showtime CEO David Nevins said in a statement that “Halo is our most ambitious series ever, and we expect audiences who have been anticipating it for years to be thoroughly rewarded,” going on to lavish praise on Killen and Wyatt as a creative team that specializes in world-building and crafting expansive and thrilling works. He says that their version of Halo will “enthrall” those who are already familiar with the IP, as well as those who are unaware of it. 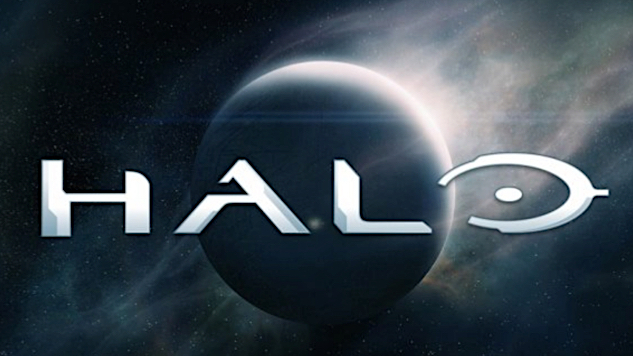 The Halo TV series was first unveiled in 2014, with Xbox Entertainment Studios set to develop the live-action take on the titular videogame franchise. When it was announced those four years ago, the plan was for the show to air on Showtime and then move to the native video player on Xbox systems. It is not yet known if that plan still remains intact. Also, Steven Spielberg’s name was attached to the project at the time and it seems that the visionary director’s name is still attached to the project, as his Amblin Television is listed as one of the show’s producers. There have been seven entries in the core, first-person-focused Halo videogame series, counting Reach and ODST, but not counting the real-time strategy spinoff series Halo Wars and its recent sequel. For a videogame series that has amassed more than $5 billion in sales, its previous television projects have been marred by poor production and being lost in development limbo (yes, we mean the Neil Blomkamp Halo movie from 2007). Given the new series’ showrunners and the production values of a prestige network like Showtime, the massive sci-fi franchise is poised to transition well from videogame to live-action. According to Showtime, the series will focus on personal, grounded stories with both action and adventure in a vividly imagined version of the galactic future. Little is known about the show’s plot or if it will follow the core story of the videogames at all—Master Chief’s story has been fleshed out in both games and various tie-in novels, so having the series tell its own story would be refreshing. The prestige sci-fi series will put Showtime’s foot in the door of prestige television’s penchant for big-budget series based on already-existing IPs, with HBO’s Westworld and Game of Thrones being the most prominent and successful examples. The live-action Halo series is being produced by Showtime and Microsoft/343 Industries, as well as the previously mentioned Amblin Television. The series will be distributed globally by Showtime’s partner CBS Studios International and production on the project will begin sometime in early 2019. Stay tuned as more news arises around Showtime’s Halo series, but until then, check out the Neil Blomkamp-made Halo movie demo that excited fans way back in 2007.